To celebrate Vouched San Francisco's first year of existence, we're gathering a great number of the Bay Area's literary champions at Milk Bar to celebrate one of VOUCHED PRESENTS' favorite causes: tomorrow’s writers. Join us for a night of readings, music, giveaways, and chapbook- and poetry-making stations--all to benefit 826 Valencia! 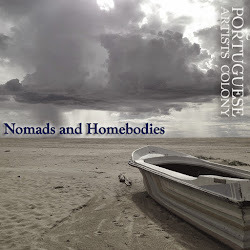 The event will also serve as a relaunch of one of the Bay Area's most beautiful reading series, Portuguese Artists Colony. Vote on a prompt as you enter the show, and four writers will write on the winning topic while you watch them sweat, swear, and get inspired; they'll read, and the piece you like best will be finished and performed at the next PAC event. Then our featured writers and comedians will take the stage in the name of our future, with intermittent breaks for giveaways from our sponsors. Participants will receive 1 raffle ticket for each $5 donated to 826 or spent on Vouched or 826 Valencia goods! If you think the party ends there, think again! After the readings, stick around for music and dancing! This event is FREE, and all donations, raffle tickets, and a portion of tonight's drink and book sales go to benefit community programming at 826 Valencia.